While Flash mobs have been over for a while in the US, there are still some places, like Japan where they are cool, and very, very weird. The flash mob in question is actually something more than just a bunch of internet weirdos, strapping loaves of bread to their head. This is performance art from 71-year old Japanese artist Tatsumi Orimoto called “Bread Man”. 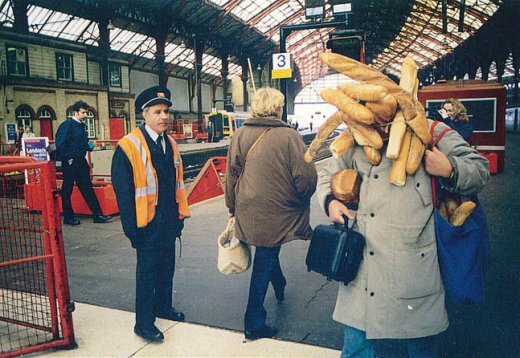 Amazingly, he has been doing this for years, over 200 times around the world! 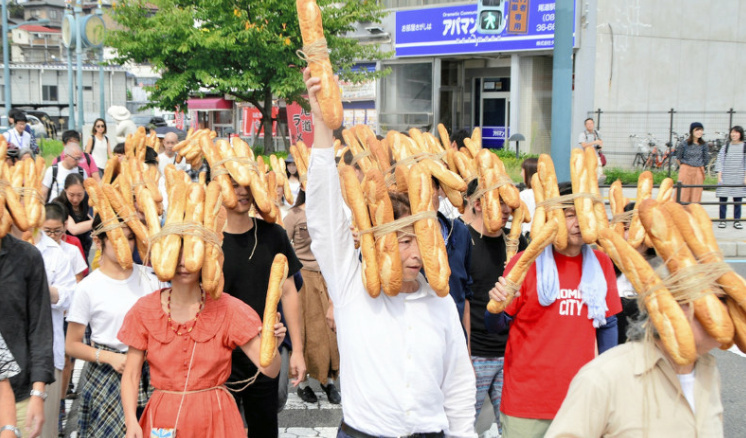 In this one performance, 36 people gathered, each with multiple baguettes strapped to their faces at Onomichi Station in Hiroshima, Japan. 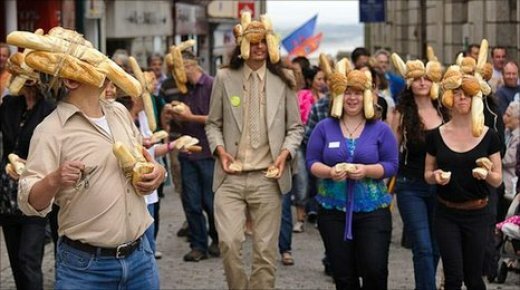 As they walked together, they shouted, “We are Bread Men. 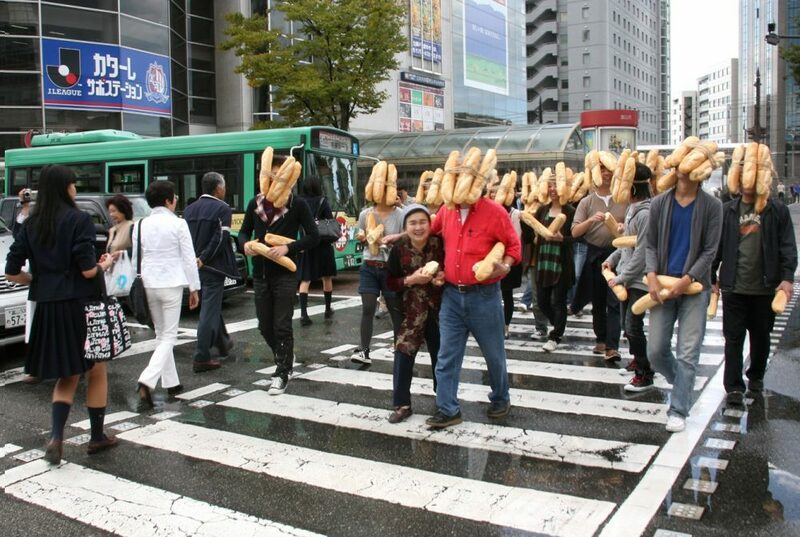 We are not human” in both English and Japanese.